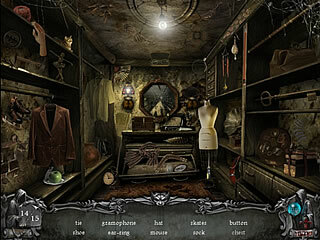 If you look through all of the games which make up the hidden object genre, you will easily see that most of them have some kind of a mystery or a dark story behind the gameplay. That means lots of the same thing, but that's not bad. Though it is not that great when the game doesn't have that much of a story, that much of a challenge, that much of some uniqueness. But luckily for us Mystery Valley is one of those games that would be an example of the good ones. This month is marked with several great releases like Mystery Legends: The Phantom of the Opera Collector's Edition, Haunted Halls: Green Hills Sanitarium, or Mystery Trackers: The Void Collector's Edition. Mystery Valley is another very polished release to please those who are ready to jump right into another great story. You play a young FBI agent solving a series of muders. The story turns out to be more complicated than you would have expected. The story starts with the fact that you had been tortured by a nighmare as a girl every night till you left the town. The nightmare is really horrifying with some satanic rituals and scary creatures. So as you can expect that part from the past wasn't told you just to fill in the space, and you can expect to reach some links with the past now 20 years later. 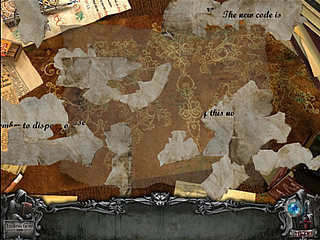 The game is a typical mixture of seek-and-find levels with the interactive parts and other small puzzles. The hidden objects searches will require you to find all of the items on the given list. Some of the items will be in yellow, which means you need to perform some kind of an action in order to get that item. The searches are not crazy challenging, but if you get stuck you can always use a hint, that recharges over time. Then there are also a few areas to explore. Those areas have some inventory or information for you. Those can be a bit confusing when giving you a hard time with even understanding what to do or where to get something to proceed. The game has two modes with different diffuculty levels. So if you want to get hints that recharge longer or no sparkles to show you the area sthat can be interesting to you. Be sure to come across some mini-games among everything else. Those are not something totally new, but quite enjoyable due to general polishness of the game. The graphics is one of the major pros of the game. If you are anything like me and apprecialte when your eyes can get just as much pleasure as your mind, you should play Mystery Valley. 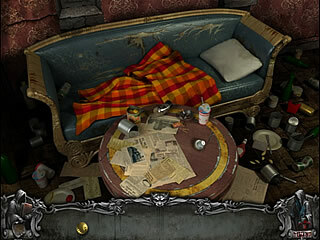 Mystery Valley makes the list of the games the hidden object/adventure genre can be proud of. HOORAY! Good job, you got it! This guy only works there on Sunday, making my clue more diifcfult than I intended.Congrats! !By the way, I had another idea for the prize. Since you won this round, JT, you get to pick the place for the next one. You can photograph the spot & post a story, or I can do it. Either way, you get to know the secret FoPo spot before anyone else. What do you think? If you'd rather get a profile or a coffee gift card or something, that's cool too. This is Mystery Valley for Mac OS review. Download this game here.